Cortina d’Ampezzo, Italy – Switzerland’s Lara Gut won her seventh World Cup downhill race on Saturday in Cortina. Italy’s Sofia Goggia was second, followed by World Cup downhill leader Ilka Stuhec of Slovenia in third. 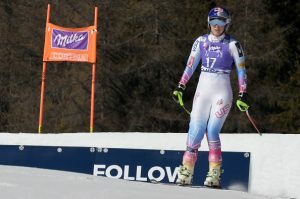 Lindsey Vonn, of Vail, Colo., was shooting for her 78th World Cup victory, and was leading at the first interval until she crashed into the nets – the same section she crashed in Friday’s training run. Breezy Johnson, of Victor, Idaho, posted a career-best Audi FIS Ski World Cup result, finishing 10th to lead five Americans into the top 30. Johnson, starting 26th, put down an aggressive run to continue her strong skiing this season, which has now included four top 15 World Cup downhill results. 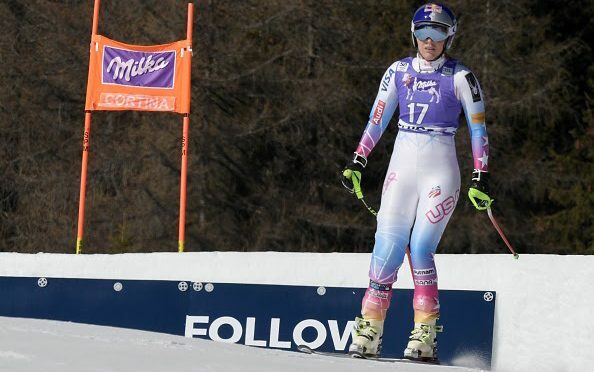 Stacey Cook (Mammoth Lakes, Calif.) was hot on Johnson’s heels, finishing 11th for her best result since her sixth-place finish earlier this season at Lake Louise, Canada. Other American finishers included Jackie Wiles (Aurora, Ore.) in 17th; Alice McKennis (New Castle, Colo.) 18th; Laurenne Ross (Bend, Ore.) 22nd; and Leanne Smith (North Conway, N.H.) in 32nd. With her victory, Gut pulled to within 30 points of Mikaela Shiffrin’s overall World Cup Lead. Shiffrin, Gut and Vonn are all expected to race in Sunday’s super G.